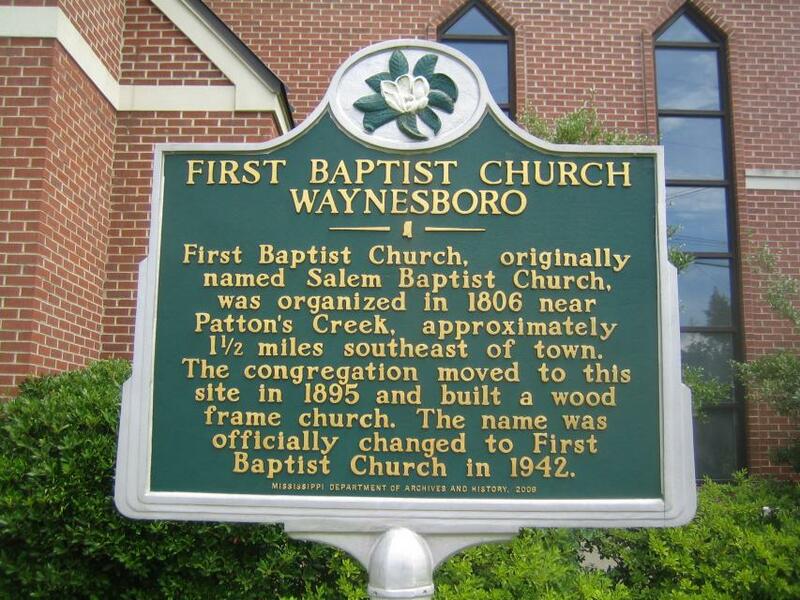 First Baptist Church, originally named Salem Baptist Church, was organized in 1806 near Patton's Creek, approximately 1½ miles southeast of town. The congregation moved to this site in 1895 and built a wood frame church. The name was officially changed to First Baptist Church in 1942. This marker can also be identified by its HM code. You can use the hashtag #HM1IUN in tweets, and any other place where you might refer to this marker, including when searching on this site.